Alex is a social scientist, with a primary research interest in social and geographical health inequalities. In exploring these issues, Alex has developed an expertise in participatory and qualitative methods of inquiry. Alex was awarded her PhD in Health Research at Lancaster University in 2018. This PhD was funded by the Economic and Social Research Council (ESRC) and explored the experiences of people with intellectual disabilities engaged in nature-based therapeutic interventions for health and wellbeing. Following her PhD, Alex was employed as a Research Fellow at the University of Dundee for an ESRC funded study that examined the impact of welfare reform on the everyday lives of disabled people. During PhD study Alex was also employed as a research associate to support a programme of research funded by the NIHR Health Protection Research Unit on placed based health inequalities as this relates to gastrointestinal infections (GI). 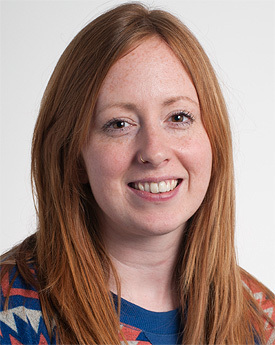 Alex has been required to work with a variety of external organisations during her research, including local and national advocacy and voluntary organisations, community groups and providers and commissioners of services, and she is committed to creating opportunities for meaningful public and wider engagement in research. Alex has a broad interest in the health and social inequalities experienced by people who may be considered marginalised (including people with intellectual disabilities, LGBTQ young people and lower income families) as well innovations in policy and practice designed to reduce those inequalities. Her current areas of interest focus on lived experience of health and impairment, as this relates to place. Her research is therefore situated at the intersect of disability studies, geography and qualitative health research. She is particularly interested in qualitative explorations of the health and social inequalities experienced by people intellectual disabilities, and interventions designed to promote wellbeing for this particular group.